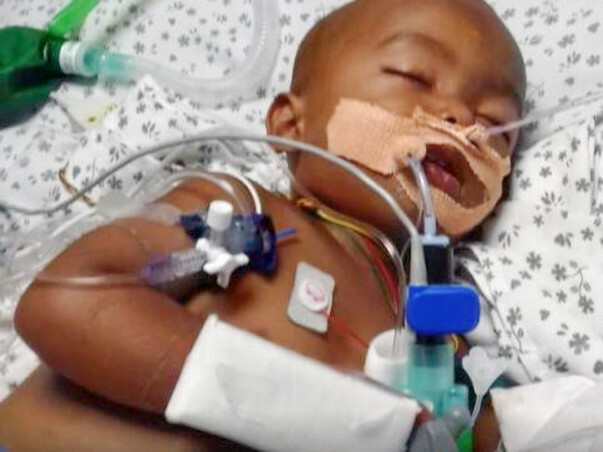 Hi, Rithwik (1.5 yrs) is suffering from Severe Dengue/ Multiple organ dysfunction/ Acute Kidney Injury. Rithwik has been admitted at Rainbow children's hospital (Branch) and he is undergoing treatment with regular dialysis. He is experiencing excruciating pain and the way he is staring endlessly at us is killing us and this breaks my heart, he can't even express what his body is undergoing. Doctors have estimated a price of 9-10 lakhs, we've already made a payment of 8 Lakhs to the hospital. 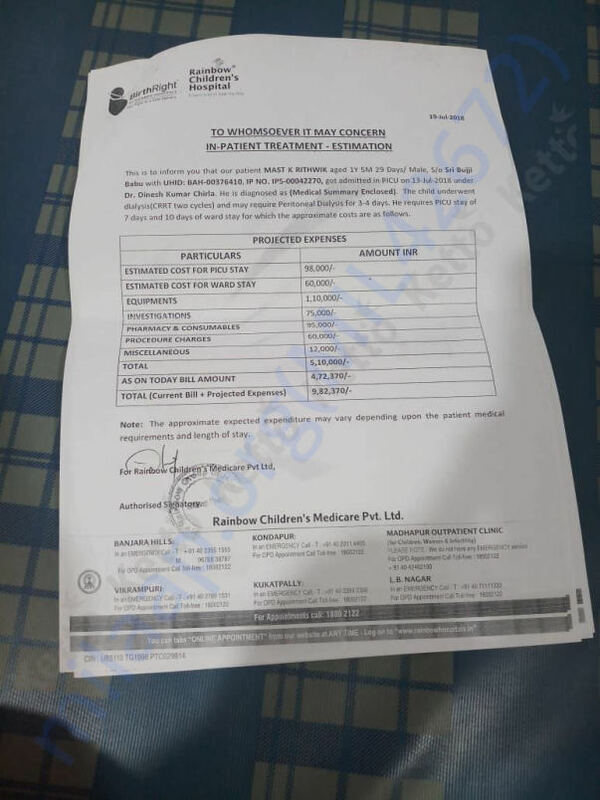 But now because of uncertainties in baby's health condition, the treatment cost is going beyond 20 Lakhs and we're running out of money now. 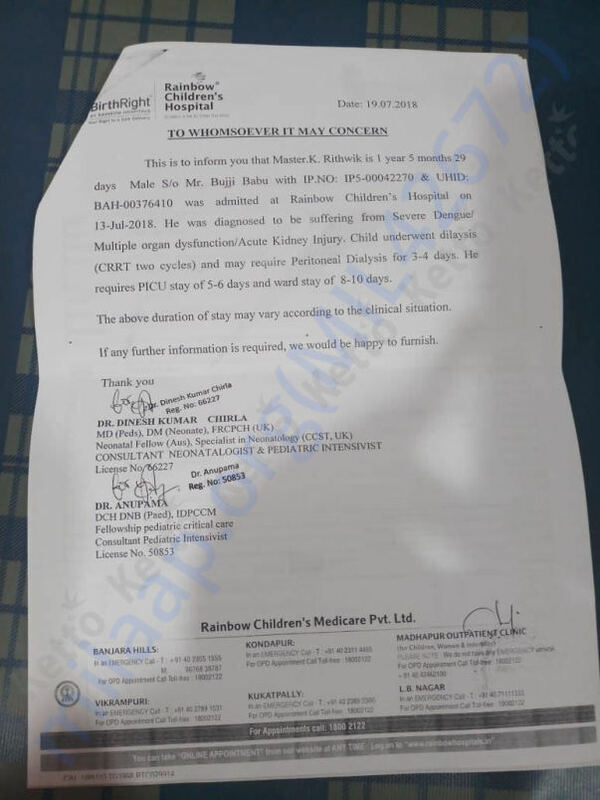 Please help this kid to recover from this critical health situation, we're hereby attaching the medical summary and bills. I'll be buying some medicines with this money. Thanking each and every kindhearted person who has donated and constantly sharing this. Will update more details. Once again thank you so much.